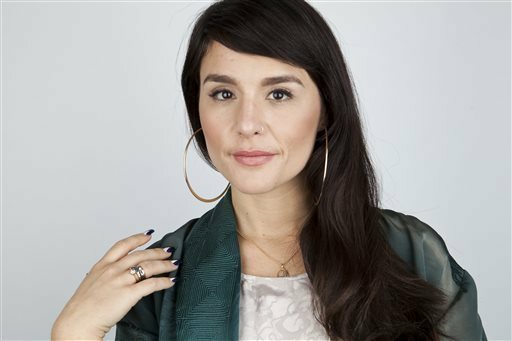 When Jessie Ware worked as a journalist, she watched friends like Adele and Florence Welch rise to the top of the music charts in the U.S. and Europe, where all three singers grew up. But Ware wasn't jealous. She was happy for their success, though she'd lost track of her own dream of recording music. "I just forgot about it," the 28-year-old said in a reflective tone, adding English indie rock band The Maccabees to the list of her successful musician-friends. "They were all doing it. And I was like, 'Good for them 'cause they are doing it and they are great' ... and I just didn't think I could do that. I didn't think I had the guts or the talent to do it." Then English singer-songwriter Jack Penate, a friend of Ware's, invited her to sing background for a radio session. "I took the day off work, went and had so much fun," she recalled. She began singing background at various festivals, on a tour in Europe and then a tour in the U.S.
"I had to quit my job because I had no holiday left," said Ware, who had been working at a television production company. Ware said she's confident now, and has a career as a singer to thank for that. She released her debut, "Devotion," last August in Europe, where it hit No. 5 on the charts and was nominated for the prestigious Mercury Prize. She's been buzzed about on music blogs, and "Devotion" was released in the U.S. this month with two new tracks. "It's a bit of everything," she explained of her sound. "I got kind of greedy and I tried to put everything in there from folk to pop to soul, hip-hop." Those who have influenced her included Billie Holiday, Dusty Springfield, Lauryn Hill and Missy Elliott, and Ware is part of a growing downbeat, electronic soul movement that includes acts like Rhye and Quadron, who were cheered on by Ware at a recent showcase in New York. Ware met Adele through Penate and went to high school with Welch of Florence + the Machine, who has been checking in on her friend. "She's been texting me like, 'How are you? Where are you in the world?'" Ware said. "She's been really good to me." Ware wrapped up a short U.S. tour last month and performed both weekends at the Coachella music festival. She called the U.S. audience "warm." "I remember we started our run in January in Boston. First night I got flowers, I got roses," she said. "I got gay men voguing at the front. It was great. Guys singing to me like, 'Girl!'" Ware is getting a boost in the U.S., thanks to her collaboration with rapper A$AP Rocky, who appears on the remix to her song "Wildest Moments." "For me, a white girl from South London to have the hottest rapper on my album, dreams can come true," she said. "I definitely feel like Ashanti, I feel like Aaliyah."